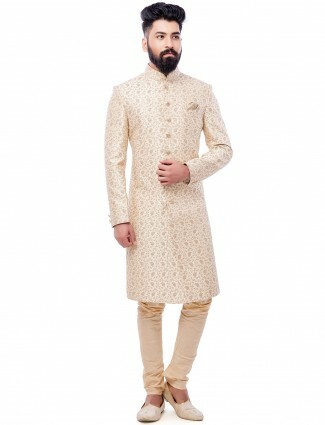 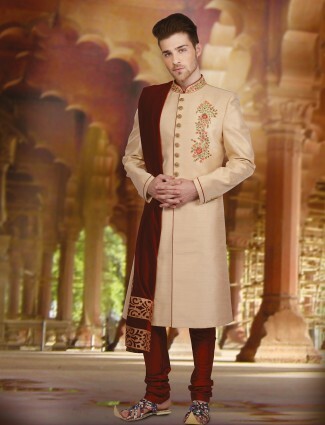 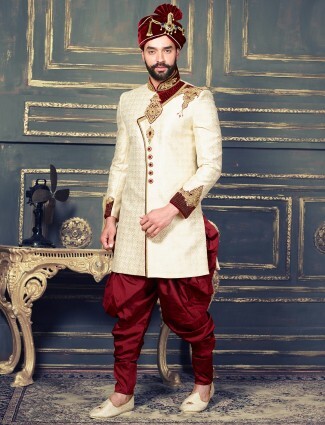 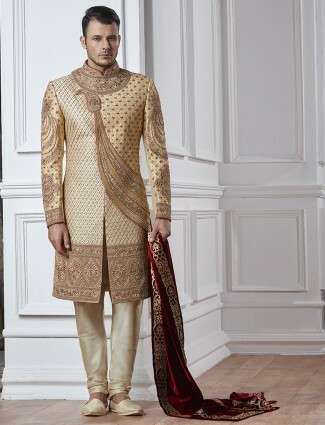 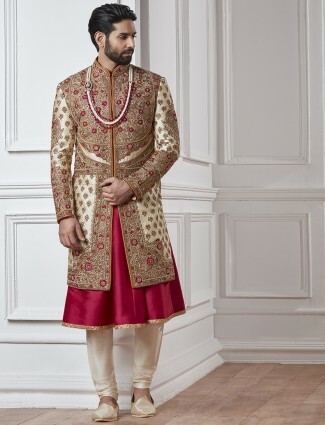 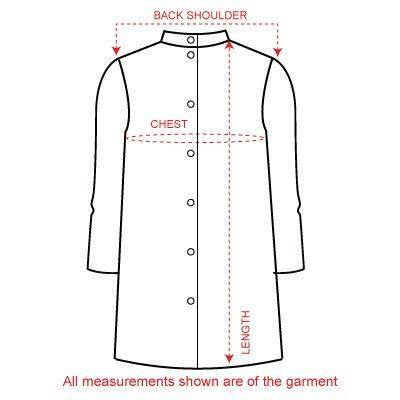 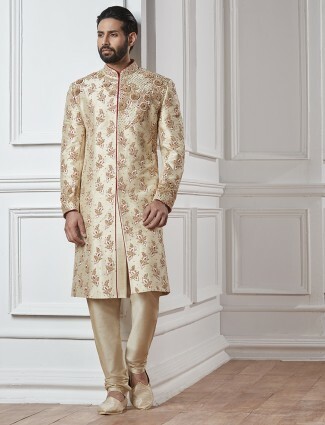 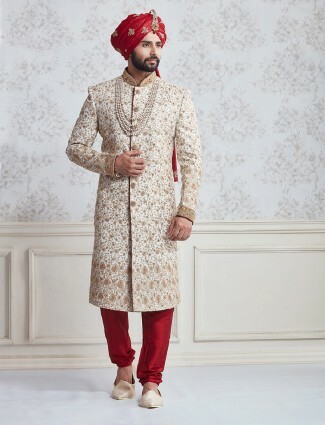 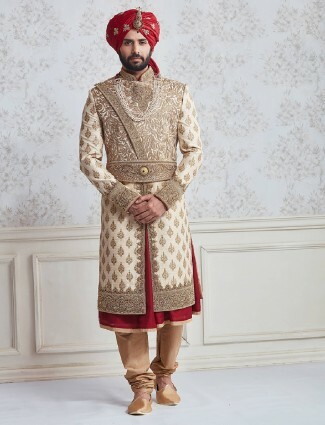 Rich as well as classy look with this cream hue jamawar fabric designer sherwani for groom. 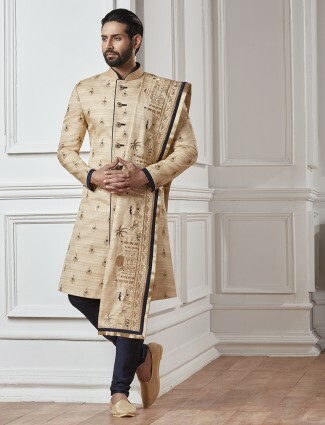 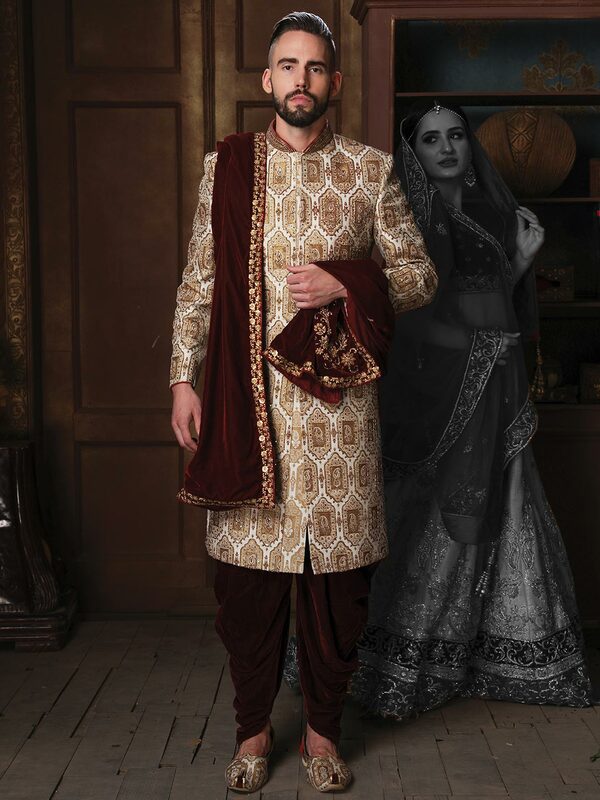 Smarty features with heavy golden embroidery,thread,stone and cutdana work at over all, stand collar, full fancy buttoned placket, straight hem and full sleeves. 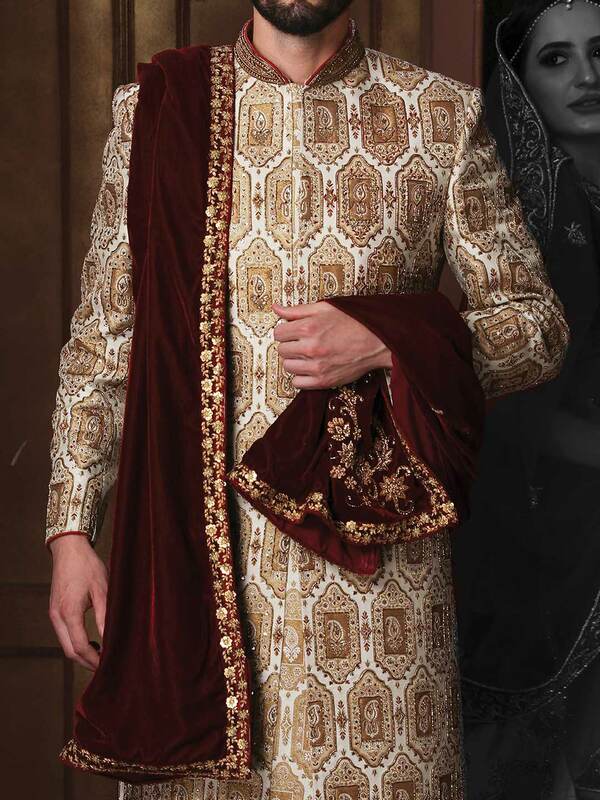 Paired with plain contrast bottom and heavy border worked dupatta.